125: David Hammons, Untitled, enamel, circa 1972. 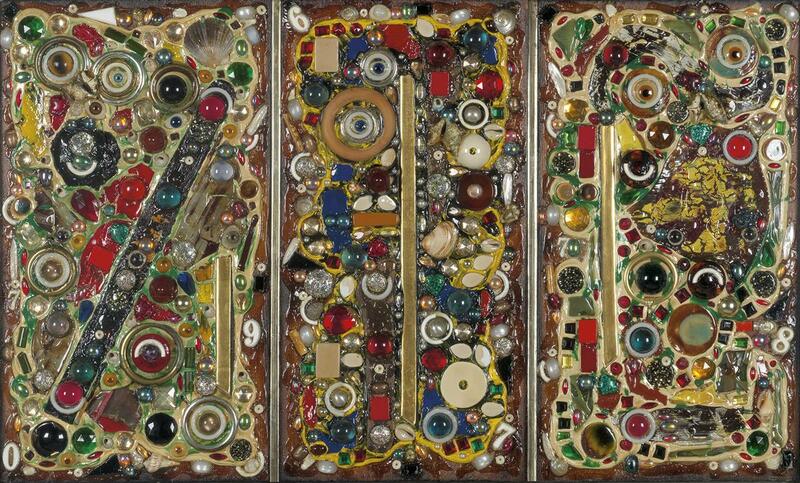 David Hammons‘s abstraction in enamel shows a seldom-seen side of his early work, exemplified here. Hammons created these beautiful and organic compositions in swirling colors reminiscent of satellite images or ocean currents. Within the framework of minimal abstraction, they display his early experimental use of the material. The enamel paintings date from the years of his studies at the Otis Art Institute in Los Angeles (1968 – 1972) before he began his body art prints, painted furs, and shrouded mirrors. 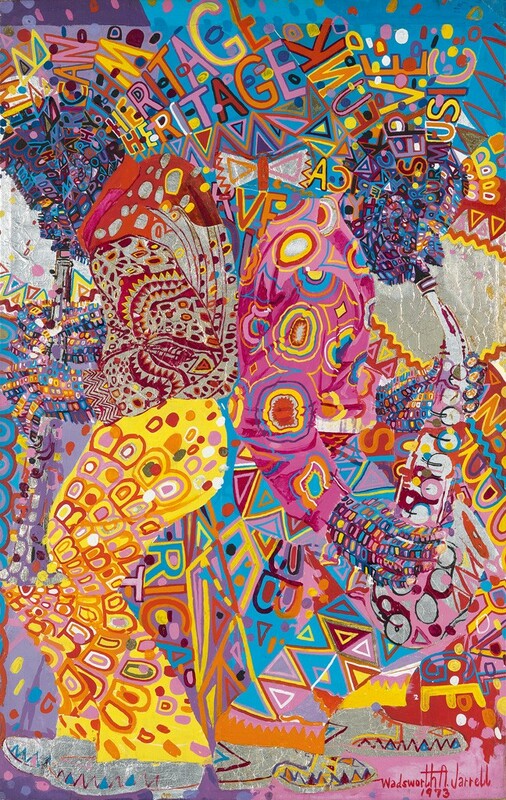 87: Wadsworth Jarrell, Untitled (African Rhythm, Our Heritage), acrylic and metal foil on canvas, 1973. Estimate $25,000 to $35,000. Wadsworth Jarrell was a leading figure of the Black Arts movement and one of the founding members of the African Commune of Bad Relevant Artists (AfriCOBRA), a Chicago artist collective formed in 1969. He is best known for his 1971 iconic painting Revolutionary that was presented at the Studio Museum in Harlem in the AfriCOBRA II exhibition in the early 1970s and is now in the collection of the Brooklyn Museum. 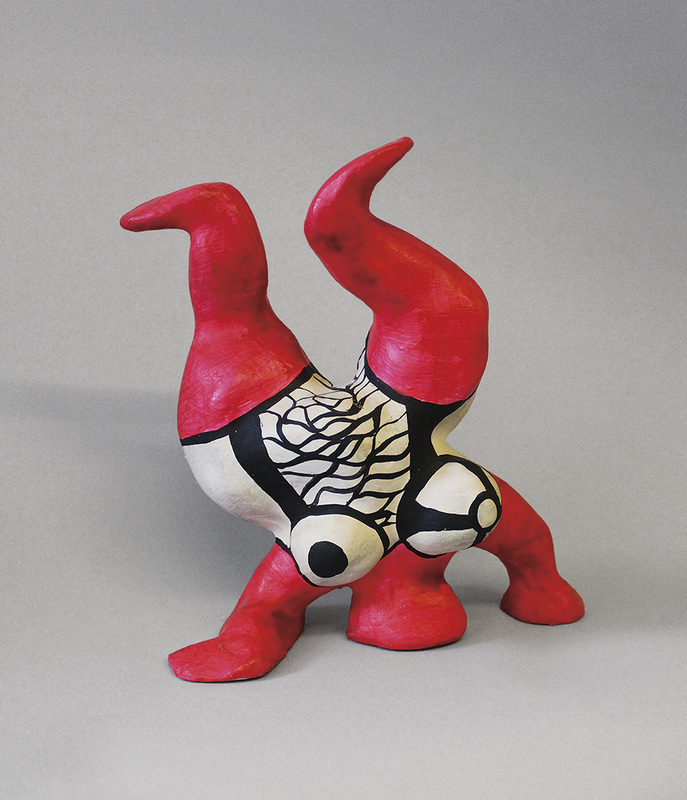 By the fall of 1973, the collective had their last group exhibition, and each artist pursued their own interests. This excellent example of the vibrant canvases of Wadsworth Jarrell is the earliest of his significant 1970s paintings to come to auction. Lot 171: James Little, The Primary Suspect, oil on canvas, 2000. Estimate $15,000 to $25,000. Born in Memphis, James Little has been based in New York since 1976, showing his work in numerous solo and group exhibitions. 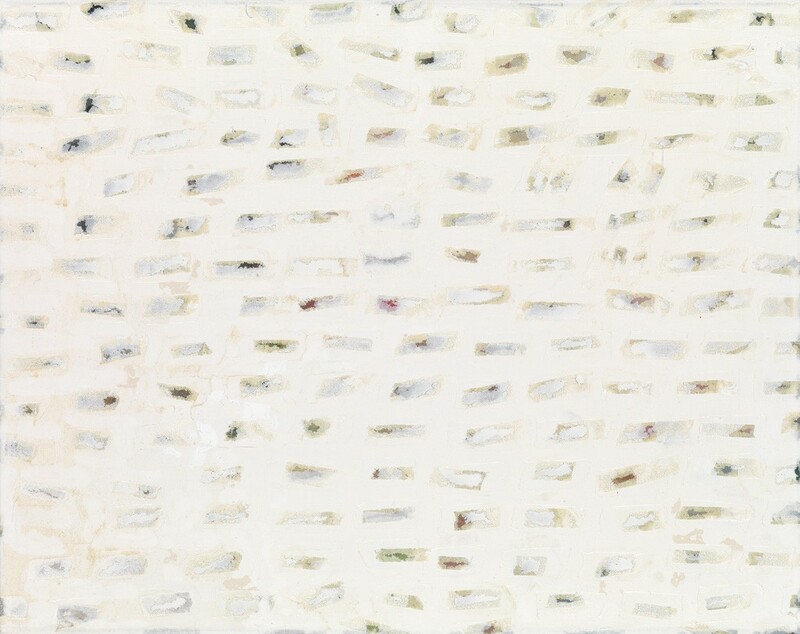 He is primarily known for his monumental hard-edge abstraction paintings in soft pastels. In this later work, Little has moved away from precise lines and shapes and into a more expressive period, though the suggestion of line and geometry is still visible. A recent grant award from the Joan Mitchell Foundation and his critically acclaimed 2009 solo exhibition at June Kelly Gallery have cemented his reputation as a leading abstract artist. Little’s paintings are in the collections of the New Jersey State Museum, the Everson Museum of Art, Syracuse, the Studio Museum in Harlem, the Library of Congress, Washington, D.C. and the Paul R. Jones Collection, Atlanta. Lot 142: Carrie Mae Weems, Mirror, Mirror, gelatin silver print, 1987, printed 2008. 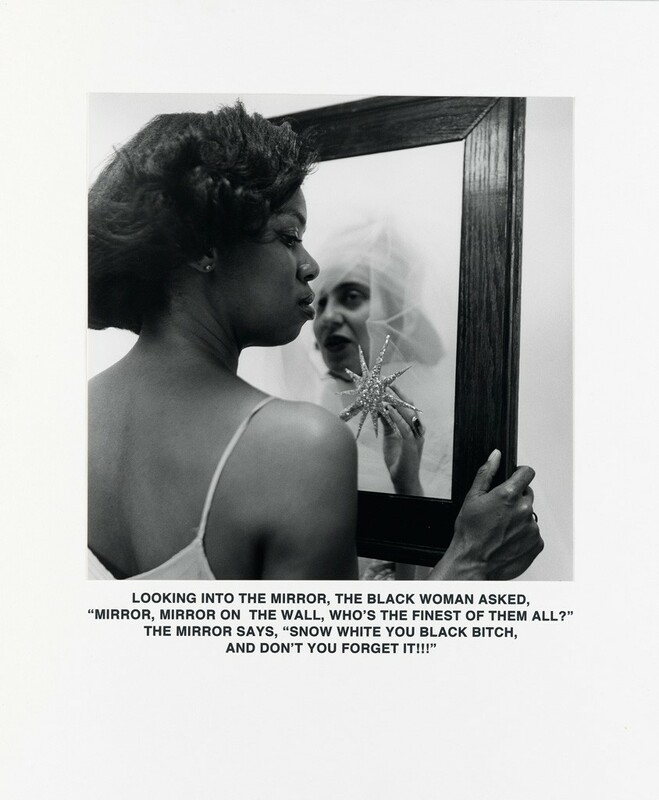 Mirror, Mirror is part of a special edition printed in 2008 of Weems’ 1987-88 series, Ain’t Jokin’. This is the first time this significant work has come to auction individually. Another print of Mirror, Mirror is in the collection of the International Center of Photography, New York. For more works by these artists and others, visit the full catalogue.